Today’s townland is Ballyrainey. 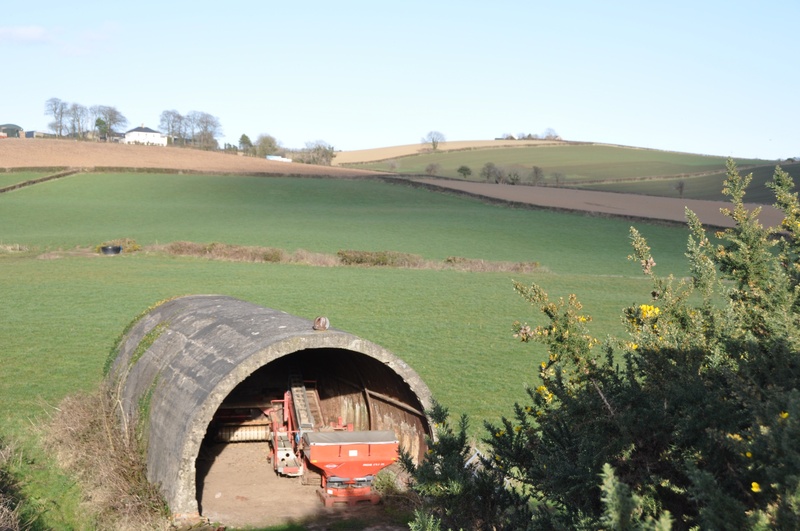 If you’ve read recent posts on this blog, you may remember that I set off from Comber to walk along the Comber Greenway. The first two townlands on the path were Ballyloughan and Ballystockart; now I’ve reached Ballyrainey. From the Greenway, you can see a piece of history. During the Second World War, heavy anti-aircraft guns were positioned in Ballyrainey, to defend the city of Belfast. One building remains from that time, and is visible from the Greenway. Click here to read more about Northern Ireland in the Second World War, and in particular the section headed “Camperdown H.A.A Battery”. According to PLACENAMESNI, the name Ballyrainey is derived from the Irish Baile na Raithní, meaning “townland of the ferns or bracken”. 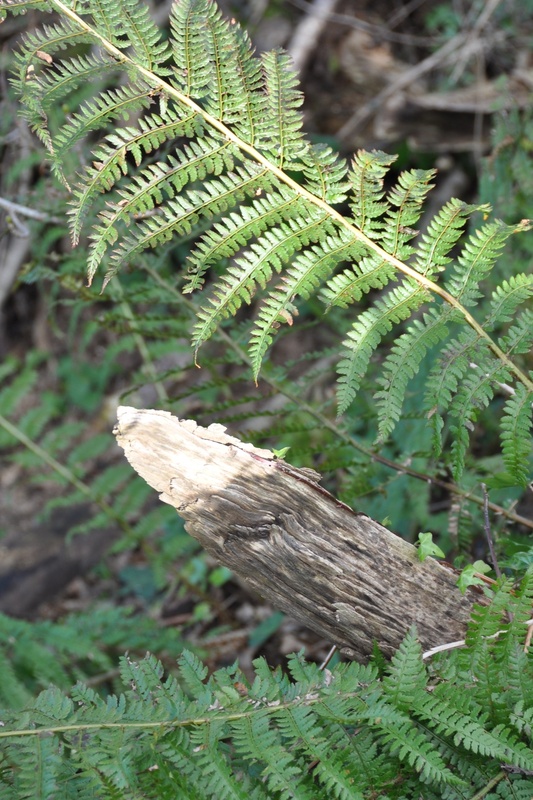 And yes, the ferns are still there. I thought my job was done when I snapped the Ballyrainey Road sign, but then I discovered that, as the road climbs, it crosses into Ballymagreehan, Ballyalton and Ballycullen. So many little townlands! 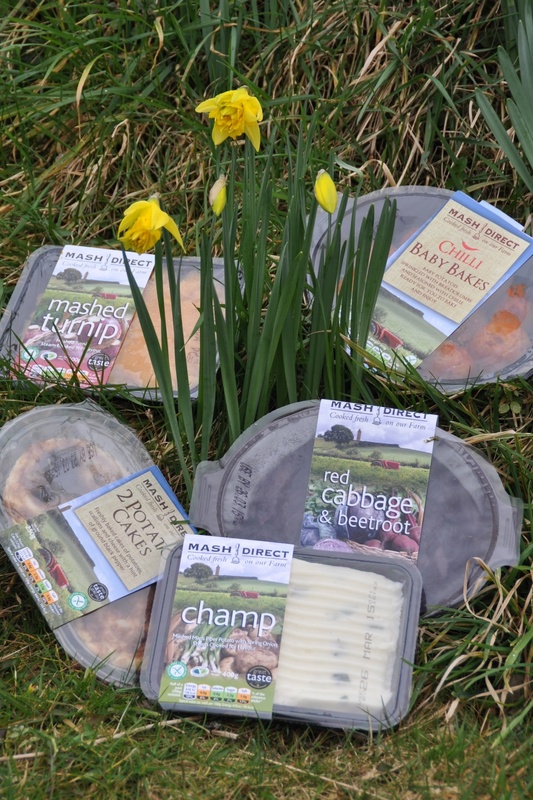 Before I go back to explore those places, however, I am going to sit down and enjoy food produced in Ballyrainey by the local farmers at Mash Direct. Champ (bottom of the photo) is a local dish of potato mashed with spring onion. Delicious. Click here for a link to a 19th century map of Ballyrainey on the website of Ordnance Survey Ireland. Which townlands border Ballyrainey? Moving clockwise, from Ballylisbredan in the north, the neighbouring townlands are Greengraves, Ballymagreehan, Ballyalton, Unicarval, Ballyloughan, Ballystockart and Ballyrussell. Which council area is Ballyrainey? Ards and North Down Borough Council. 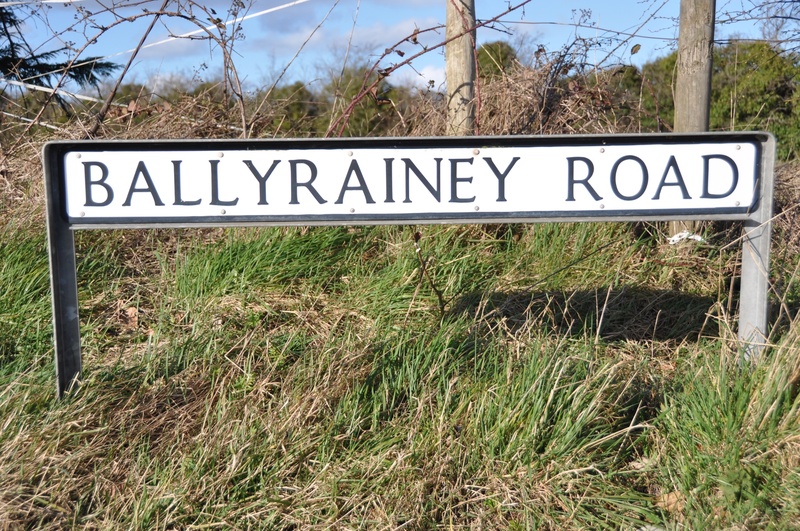 CLICK here to read more about the history of the name Ballyrainey on the PLACENAMESNI website.